"The rats are big, they're fat and they just stare at me, they’re not afraid," Councilman Tam Nguyen said. A San Jose City Councilman spent the night in a city-approved homeless encampment in Portland. 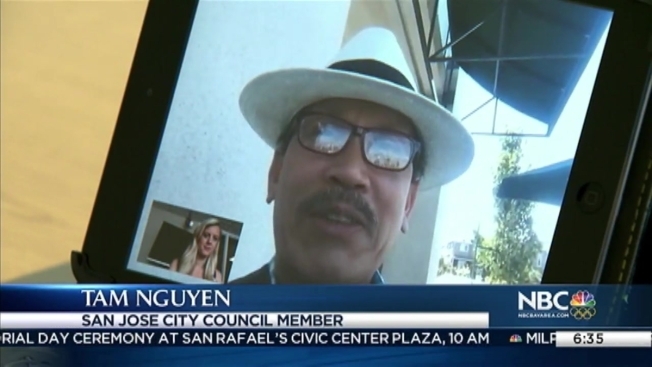 Tam Nguyen wanted to see if something similar could work in San Jose. Nguyen, who spent Friday night outdoors in the “Right to Dream Too” encampment, said he went in with an open mind and a willingness to learn. He said he wished he had gone sooner, even though his night was filled with rodents. “I don’t mind the noise, the snoring,” Nguyen said. “But I couldn’t sleep because I had to fight back all the rats biting me. They ran all over the place and the rats are big, they're fat and they just stare at me, they’re not afraid." Aside from the rats, Nguyen said he was impressed with the camp and those who live there. San Jose has been considering since December 2015 what it would entail to create a legal tent city for some of Santa Clara County’s estimated 6,000 homeless people. Nguyen said the challenge for him is to find the right spot for such a city-approved camp in San Jose. And he acknowledged that gathering enough support for it might be tough.